I love Claude Monet. Every time I exhibited in New York, at the Inner Circle Pavilion of JA Show, a visit to MoMa, the City's Musuem of Modern Art, was one of our highlights, and a memorable highlight of the Museum visit was its Claude Monet room. Monet is special. He only painted a handful of subjects during his lifetime. He was obsessed into rendering alive his subject matter, for example his beloved waterlilies, in the fleeting light and its reflection which changed moment by moment. And he would wait hours on end for the same fleeting moment to come again, and did it day after day. 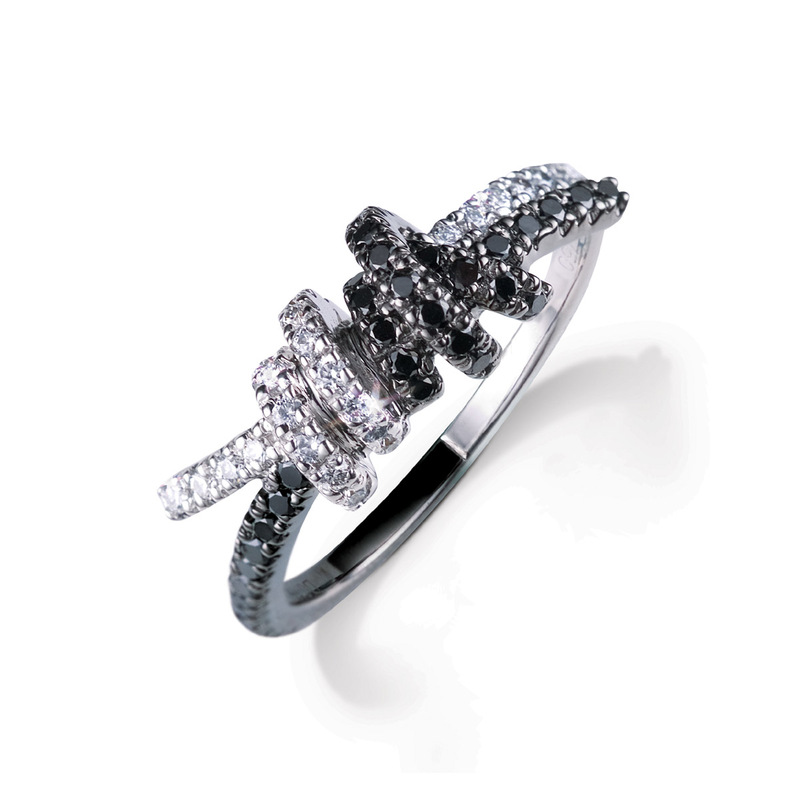 As a jewelry designer, I have to work with minute details. What impressed me most was Monet rendering his strong colorful strokes into minute details at every single area of his huge canvas. Why he cared about the details, after all these are huge paintings? The reason was that he was mesmerized by the process of delivering the richness of nature as he experienced it faithfully to his viewers. For example, it was mentioned in MoMa's document that "In this triptych (200 x 1276 cm) Monet depicted his Japanese-style pond covered with water lilies, at center, shimmering with reflections of clouds overhead. The water's surface fills the expansive composition so that conventional clues to the artist's—and the viewer's—vantage point are eliminated. Monet wished for the paintings to encompass the viewer: in his designs for the Musée de l'Orangerie in Paris, he specified that the Water Lily canvases be displayed on curved walls." He did not intend to deliver anything he invented, instead, his creative problem and passion was to recreate truthfully his feeling or impression of the scenery that he saw, through his paintings. Rather than egoistic, as most people would imagine a fine artist to be like, Monet cared very much about the response of his viewers, because he wanted so much to share his passion with each one of them! 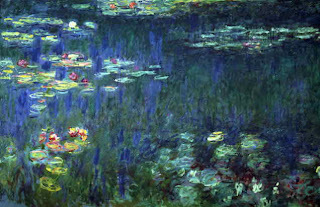 Monet devoted to his passion for decades. He was consumed by getting it right. While he could have been resting peaceably on his estate in his later years, he continued his rigorous exploration of light and color. Once started, a journey of this magnitude is never entirely satisfactorily concluded. There is always more to do and more to perfect. In this regard, Monet is my mentor!